What’s the Difference Between Absorption and Adsorption? What’s the difference between absorption and adsorption? 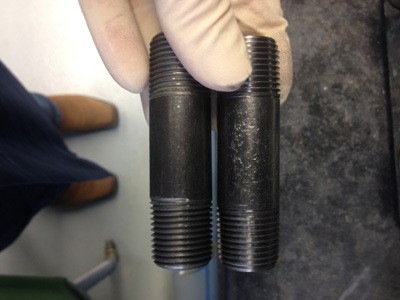 Is there a difference between absorption and adsorption? Absorption is when one substance enters completely into another. Think of people walking into and sitting down in a car trolley. 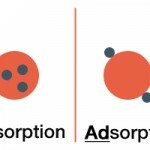 Adsorption is when one substance just hangs onto the outside of another. Think of people holding onto a car trolley with one hand and leaning off the side. They’re along for the ride but not inside. Absorption is when one molecule or atom is “sucked” inside of a volume of other molecules. 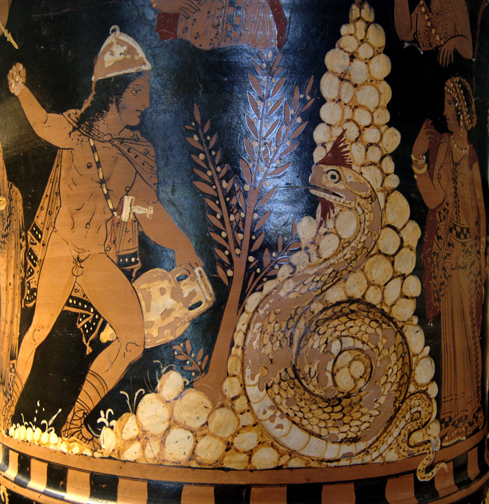 It has to completely enter the other substance, becoming a part of it. 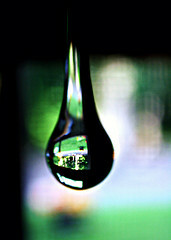 This can be a chemical (reaction) or physical (dissolving into a liquid) process. For example, CO2 can be absorbed into a solution of potassium carbonate – this is an example of a chemical absorption since a reaction occurs. 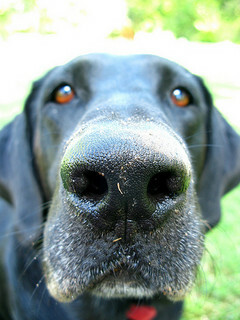 Another example would be air dissolving into water – this is a physical absorption since the air is simply entering into the water, driven by equilibrium pressure. 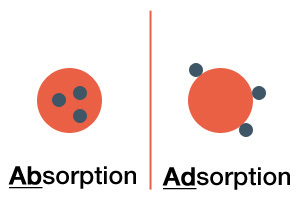 Adsorption is when one molecule or at sits on the surface of a substance. For example, this would be like CO2 sitting on the surface of an adsorbent inside of a pressure swing adsorber unit (look up PSA if you have time! It’s a really cool concept). The CO2 molecules just sit on the surface of the solid adsorbent. Check out the image below to help you remember the difference. If some example add on the adsorption then it should be easily understood.